When I first read this novel I had no idea what to expect. 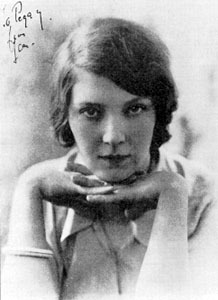 Jean Rhys wrote Wide Sargasso Sea as a prequel to Charlotte Bronte’s novel Jane Eyre (1847). I had never read Jayne Eyre at the time, but that didn’t stop me from falling in love with the shared characters, Mr Rochester and and especially Antoinette (better known as the crazy woman in the attic, from Jane Eyre). Antoinette grows up on a beautiful island in the Caribbean, but it is not a happy time for the Creole heiress. The 1834 emancipation of the slaves in British-owned Jamaica has just passed and Antoinette has a hard time figuring out where she now fits in. She is only a child during this time and with a mentally ill mother, has no one to explain why these changes are happening. Recommended: This book is a must read, especially for YA as it deals with topics of identity, love and isolation. This short book (only 192 pages) is a page turner until the end. I Haven’t seen the movie yet, but it looks like it focuses on their relationship between Rochester and Antoinette more than the novel does. The novel is narrated from the first-person by Antoinette and we get a greater psychological portrait of her, beginning in her early childhood until her arrival in England. A little on the author: This novel of Rhys’ won the W.H. Smith Literary Award in 1967. For twenty years she worked on Wide Sargasso Sea. Already a popular novelist, the public had no idea where she was hiding, but all were blown away with the unexpected work. Like most great artists, Rhys was not recognized as much as she should have been during her lifetime, as she was ‘ahead of her time’ with the many new literary tropes; she is a building block of the post-modernist movement. Posted on August 27, 2010 August 27, 2010 by LN	This entry was posted in Jean Rhys, Post-Modernism and tagged Jane Eyre, Jean Rhys, Sargasso Sea, Wide Sargasso Sea. Bookmark the permalink. ← Which Austen Heroine are You?